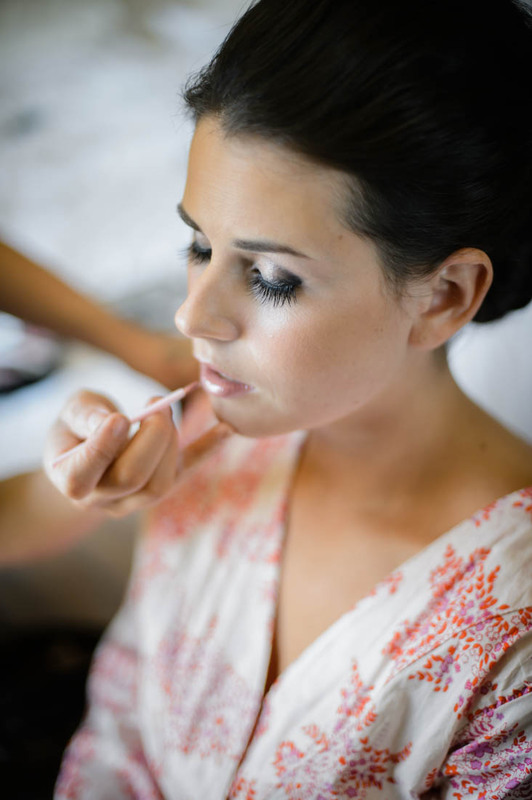 A thin glaze of lipgloss is applied to the lips of the bride as she gets ready for the upcoming ceremony. This photo I always love to do with the bride. I want to capture every aspect of her and her grooms day, especially the important parts like getting ready. This bride was getting the last bit of make up done so I decided to get some photos. She was getting a thin layer of lipgloss applied to her lips which really stood out against her skin tone. Having her eyes closed really showed a since of calmness in a day thats a little crazy.